The Aussie sure knows how to drop it like it’s hot! 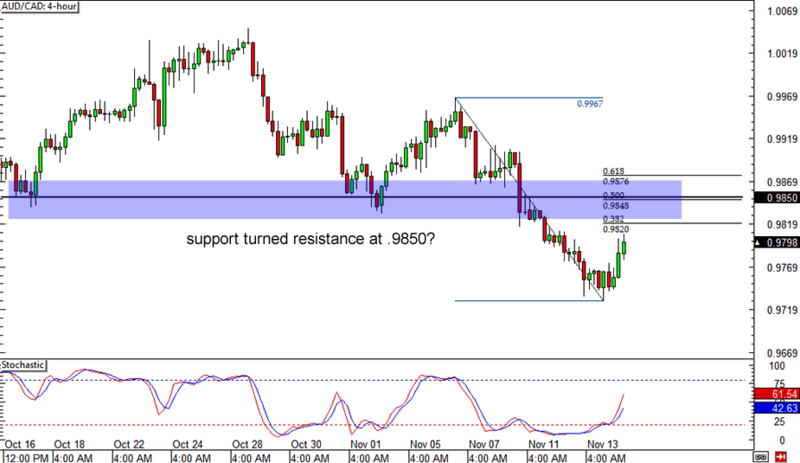 On its 1-hour time frame, AUD/USD is trading in a short-term downtrend as the falling trend line is still intact. It looks like the pair is ready for a quick retest of the trend line though, as it has already pulled up to the 38.2% Fib. 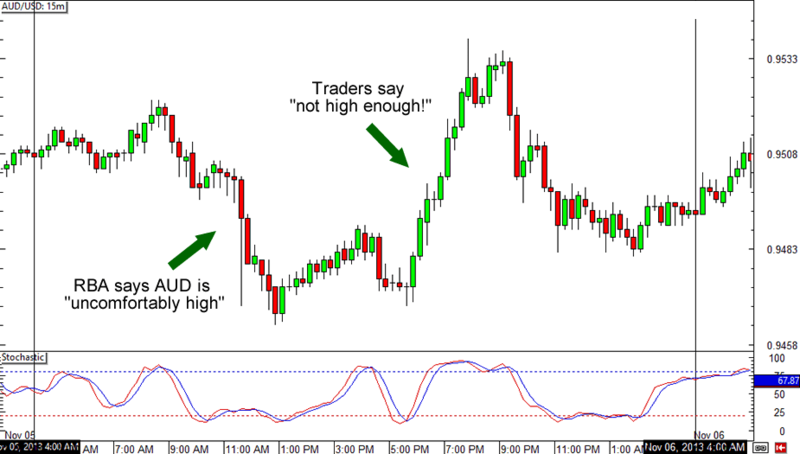 Stochastic has reached the overbought zone but hasn’t crossed down yet, hinting that AUD/USD might still make one more push higher before heading back down. Is this pair’s rally about to reverse? EUR/AUD just climbed back to the top of the falling channel on its 1-hour time frame, but it appears like resistance is holding like a boss. 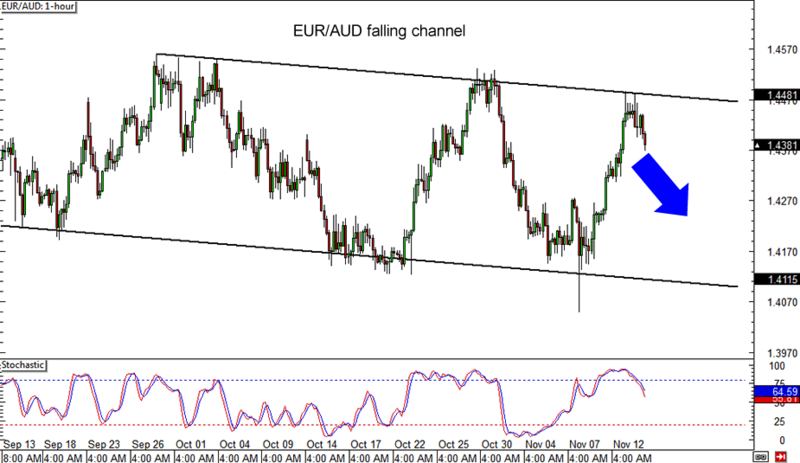 At the same time, stochastic has crossed down from the overbought region, indicating that euro bears are ready to push this pair back to the bottom of the channel around 1.4100. Make sure you set your stop above the channel resistance if you’re planning to jump in! Now here’s a setup that Happy Pip might be interested in. If you’re bearish on this pair just like she is, you could consider shorting on a retracement to the former support area around the .9850 minor psychological level. This also lines up with the 50% Fibonacci retracement level, making it a potential resistance zone. Be careful though, as stochastic hasn’t quite made its way into the overbought levels.